Yanamin dashes off a quick introduction of Country Girls and its members. In their third year, they’re still a fresh group. What’s Yanamin’s goal in 2017? Well, Country Girls got to perform at the Nippon Budokan as guests during Buono! Festa 2016. The view she saw there was so beautiful and brilliant that she’d like Country Girls to also hold a concert at a large venue by themselves. 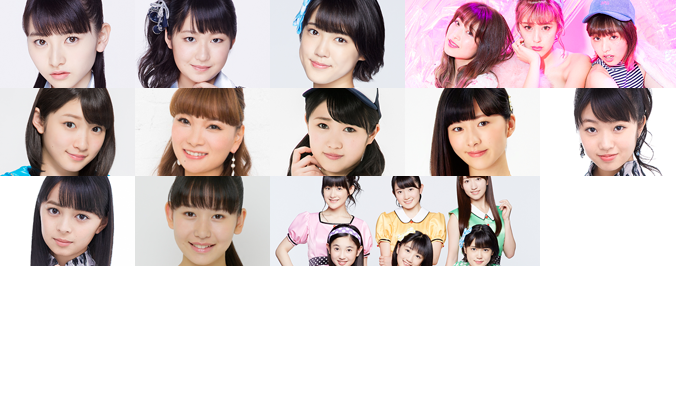 For Momochi, the group has entered its third year, a year that’s neither here nor there. It’ll be a challenging year, as they can no longer use the excuse of being newbies, and yet, their skills are still lacking. Momochi would like them to recall the spirit they had when they first got started. Since Momochi will also be graduating from Country Girls and Hello! Project in June, she’s also had more opportunities to look back. This year, she’d like to build up lots and lots of memories, as if she was starting from zero as well. As for the group, Momochi thinks that they need to develop even further. Adding a further twist on the usual New Year’s resolutions, the girls also have made resolutions for one other. First is Yanamin’s resolution for Momochi-senpai: ‘Be even fresher, be even cuter!‘ (Momochi: (playfully) ‘Can I be even cuter than I am now?‘) Yanamin worried over what to give her senior, and the key point is the ‘be even (more)’ part. Despite being 24, Momochi’s already fresh and cute, so the goal should be to go even beyond that. One sets their own limits, so Yanamin hopes that Momochi-senpai will go even beyond those – the sky’s the limit. Coming to Momochi’s goal for Yanagawa Nanami: ‘Speak smoothly‘. Momochi-senpai’s serious about this, especially on radio, where one can only express themselves with their voice. Yanamin admits this – she can hardly even say ‘radio’ properly. Petrified over the prospect of speaking smoothly? Thanks to Coming-of-Age Day in Japan, the weekend following the broadcast would be a three day weekend. Today’s Boogie Woogie Holiday Plan – suggestions on what to do over the weekend – is the indoor version. Her method is to stand with her legs set wide apart, and to move just her upper body left and right. It’s doable while doing things like brushing her teeth or watching the telly. It might seem weird to onlookers, but it’s tiring enough that it also lets Momo have some good naps. Yanamin’s recommendation is gaming. It’s her hobby, and she’s been moving from specialised gaming machines to mobile games recently. Within Country Girls, the game ‘Line Bubble 2’ has been pretty popular recently. In this corner, they’re given a topic and 30 seconds to talk about techniques pertaining to that topic that’ll make people say ‘OMG!’ The OMG-Tech theme given to Momochi-senpai is ‘cooking’. According to Yanamin, the look on Momochi-senpai’s face suggests that she isn’t too keen on the topic. Nevertheless, off she goes. Valentine’s Day is drawing close, so the OMG-Tech that Momochi would like to introduce is for meringues. Meringues are difficult to make, but the trick is to cool the egg whites before mixing, which makes the process take much less time. And with that, the allotted 30 seconds came to an end. Momochi goes for cooking classes, but she’s never made sweets at those classes. She once baked a pumpkin cake for Country Girls, but there was a slight disparity between the final product and what she expected. 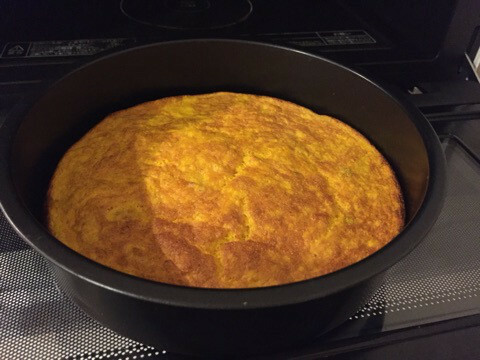 (Yanamin: ‘Not exactly “slight”, there was quite a big difference‘) The completed cake should have been about 10 centimeters in height, but it actually ended up at about 1.5 cm tall, looking exactly like an omelette. She found out about the technique of cooling the egg whites after her failure. Mixing had been an issue as she lacked an electric mixer and had to do everything by hand. Although if you’re planning to make a cake, Momochi notes that the easiest method to use a hot cake mix. In this corner, listeners can introduce yummy stuff from the Tokai region. The first listener recommends bottled Hida cow essence to be eaten with rice, from a steakhouse in Gifu. Next are spicy dandan noodles near Nagoya station. A photo was also attached, and the soup looked super red, with thick noodles. Neither Yanamin nor Momo like spicy foods. But having turned fifteen, Yanamin hopes that her tastes will mature and that she’ll grow to like spicy food. Momochi: I’m twenny-four, but I can’t handle spicy food. The next two songs were picked by the girls themselves. Yanamin’s choice is Ikimonogakari’s ‘Yell’. She’s turned 15 and will be graduating from middle school this year, so she’ll be experiencing partings and seeing-offs. Momochi’s is a song from her personal favourite Yuzu-san, and it’s a song that’s just right for the winter. Based on the o-mikuji that she drew, Yanamin has one minute to talk on the topic of her motto. Her motto is ‘Kokorozashi ha Ha ni Tstsumu‘ – literally ‘To wrap one’s resolution in leaves’. According to Yanamin, it comes from the idea is that one should be sincere in gift-giving, no matter how small the gift, even if the gift is merely wrapped in leaves. Putting it in other words: whatever you do, what’s most important is your spirit. It’s applicable to her life as an idol as well. No matter how small something is, she should be grateful, and she should convey that gratitude. Getting across one’s feelings is difficult, but she’d like to express them through her attitude, and as an idol, through her singing and dancing. She cleanly ends her exposition at the end of a minute. Time to wrap up. Yanamin had fun on her first time on HaroDora, which also came in conjunction with her birthday. 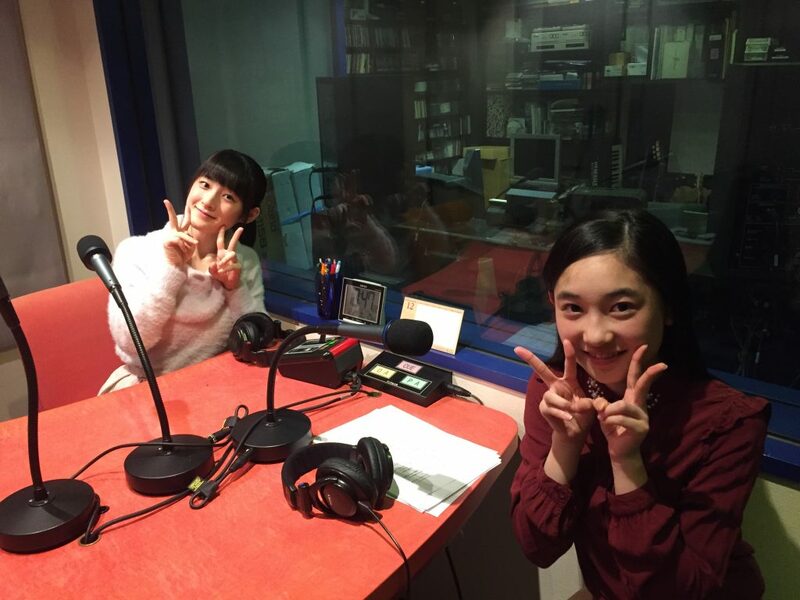 She personally thinks that being on radio with Momochi-senpai is a truly precious experience. Momochi herself is wondering how much trouble the editors would have with this episode, since she flubbed her words fairly often. Country Girls’ Ozeki Mai is a regular on the Monday broadcast, and said that it was a fun programme, although Momochi had her misgivings. But yes, Momochi did have fun, and she wouldn’t mind giving it another go. The final letter asks about why they joined H!P, as opposed to other idol groups. For Momo, she gives the question a miss as she joined H!P about 15 years ago, back when idols weren’t as ubiquitous as they are now. 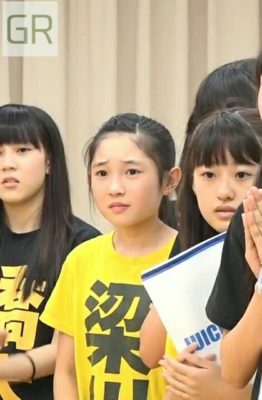 How about Yanamin, who joined H!P about two years ago? Personally, among the groups of the Idol Warring States Period, she was amazed by the performance level of H!P. Watching talk programmes on the telly, she was struck by the cuteness of Michishige Sayumi-san. 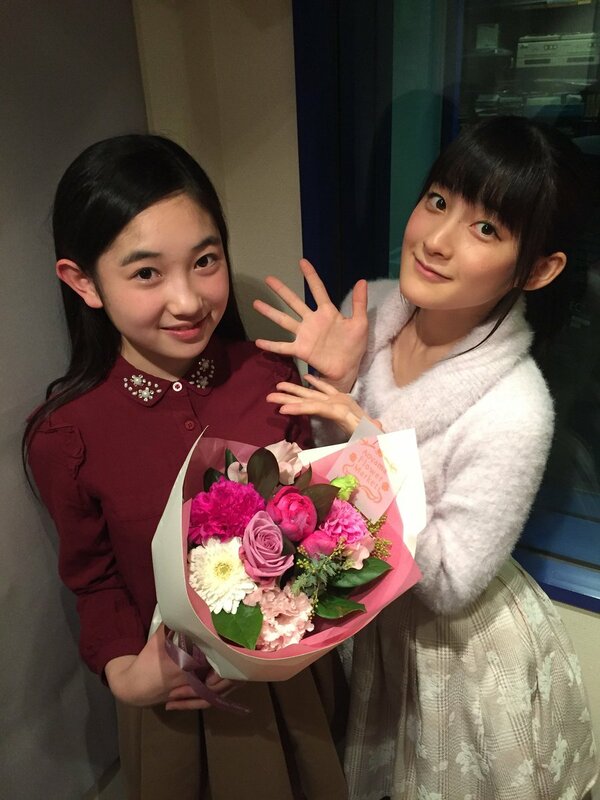 She was also aware of cute little Momochi-senpai, but didn’t know that she was a Hello! Project idol. (Momochi: ‘You started with someone who struck you, and ended with a shocker.‘) Through Michishige-san, she learnt of H!P, and came to like the seniors, watching concerts and videos. And that’s what led to her joining H!P.